The defending Super Bowl champion Green Bay Packers got their title defense off on the right foot as they were able to hold Drew Brees and company at bay in Week 1 to get the win and start the season at 1-0. The Packers offense was incredible in the first half of their matchup against the New Orleans Saints, but their lockdown defense looked like it could use some work and might need a week or two to get back on track. 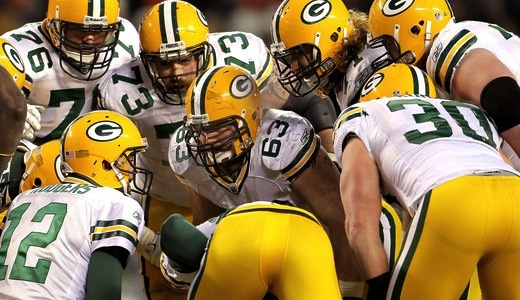 Besides the defense needing to get back to form, the Packers look like the best team in the league with a legitimate shot at repeating. There were some question marks surrounding the New England Patriots coming into this NFL regular season. Many people were uncertain just how good this team would be after losing to the division rival New York Jets in the playoffs last year.They have gotten off to a great start to the season after destroying the Miami Dolphins with a record-breaking performance by reigning NFL MVP quarterback Tom Brady (517 yards, 4 TDs). Much like the defending Super Bowl champions, the Patriots need to improve their defense in order to play consistently well this season, but it is so far, so good for Bill Belichick and company. As the one team in the league that everyone was curious about heading into the NFL regular season, the Philadelphia Eagles have already started to live up to the hype with an impressive performance against the St. Louis Rams in Week 1. Michael Vick looks like he has started where he left off and the rest of the Eagles are following his lead, Week 2 will be challenge though as the boys from Philly will face their first true test in the Atlanta Falcons. ed to everyone that they are a legitimate force to be reckoned with this season. Not only will the Ravens be the team to beat in the AFC North division, but it appears that they are a legitimate Super Bowl title contender and could turn out to be the best all-around team in the league. The New York Jets had a tough test coming into the NFL regular season as they had to face off against a hungry and motivated Dallas Cowboys team looking to rebound from a disappointing year last season. With that being said, Rex Ryan and company had their work cut out for them and were able to come out on top with a thrilling fourth quarter comeback in which they outscored the Cowboys 17-0 in order to get their first win of the season and move up the NFL power rankings.